Materials manufacture is centeralized at the Tanoura Plant in Kumamoto Prefecture, and post-processing (processing, refining, SiC coating, etc.) is done both in Japan and at our international bases in Asia, Europe and North America. Comprehensive service to Japanese customers from 3 domestic bases. 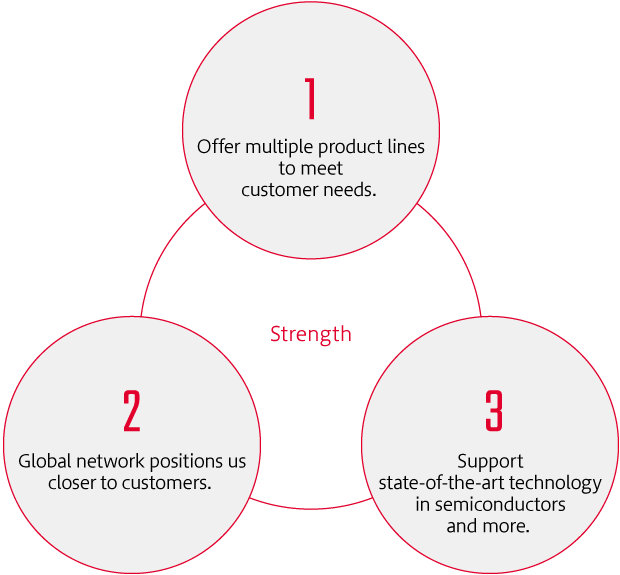 Global sales network in Asia, Europe and North America through our group companies. Continuous casting manufacturers/Mold manufacturers and many more.